In the stick-and-ball-sports genre of computer games, Hothead Games had a major contribution with the Big Win series. But it had more in its store to give a pleasant surprise to the gamers. 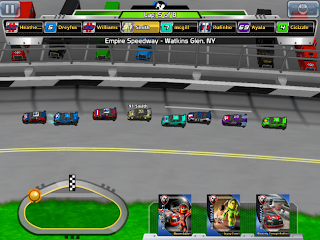 And now it was a super smart presentation of stock car racing game that has in its wings collectible card feature that comes up in a light sports fashion putting every little thing in place. The starter card pack is the introductory step which leads to the next ones. Here is where you get to strengthen your team right at its formative stage. Choose the right car for yourself from a range of cars introduced to you at the beginning of the cars. You have to do the same while choosing the driver, the transmission, an engine and the steering. Take along with you a set of six members that contains a jack man, a gas man, two tire carriers and two tire changers who will repair your car whenever it falls into the pits. As and when you keep proceeding through the levels, your team elements will transform their make from bronze to silver, silver to gold and then gold to platinum. They will be presented through the virtual cards. Upgrade your cards with special abilities collected from the other cards. Add sparkling features to your car parts and provide your own team with bonus points by purchasing all of them from the same brand. While on the move, earn coins to buy the basic card packs. If you aren't satisfied with those, get some Big Bucks to buy the advanced ones for which you need to spend quite a few bucks from your wallet. The tracks which you see here are taken from the Daytona International Speedway. So there’s not much scope to see several patches of landscape and this becomes taxing at times. Experience everything in your way that happens to the real car racers without taking the real risks of breaking your bones. Watch your drivers positioning the car, struggling with the parts, bumping over the undulations, drafting, spinning around and finally breaking down at pits. Now comes the expertise of your crew who can bring back your car to its running condition and boost it up enough to reach the winning point before others. 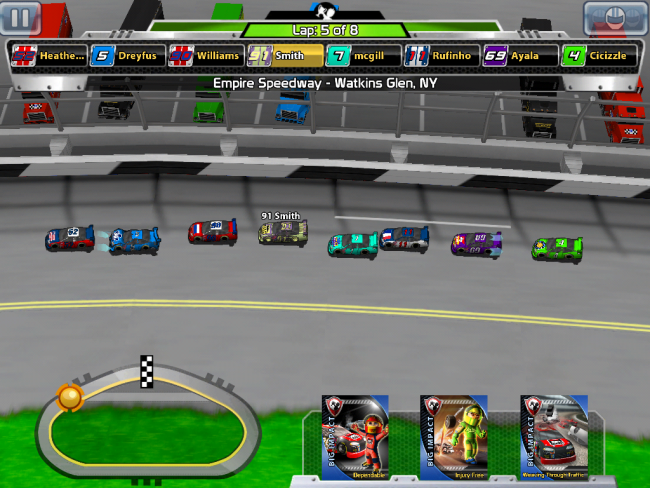 The one who wants to win the race needs to have the Big Impact Cards as that will is one of the keys to success that this game has been using as one of its strategies. Monitor your driver’s energy level by rubbing your fingers to and fro, rather than going for the drafting option. There is a life option called Quick Race that keeps you up against the reckless competitors, and share your experience with your Facebook friends by inviting them through Friends Mode. 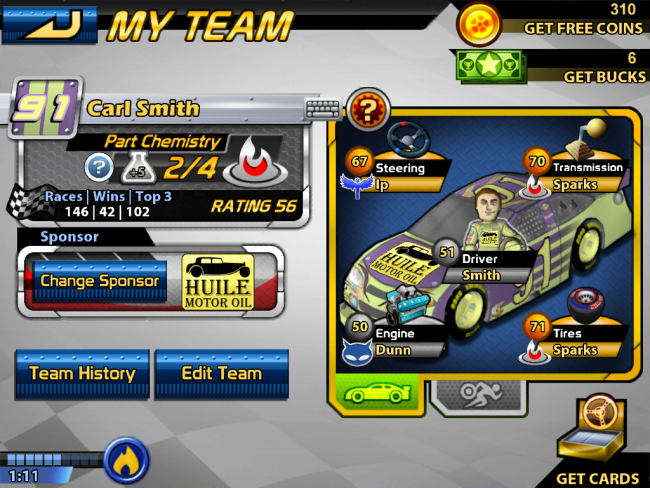 Build up your Prize pool with the help of the Trophy Mode in a single racing season. Big Win Racing doesn’t end here. There are loads of other stuffs to get swayed off and enjoy an exciting car race. Has an innovative in-game currency with a good stock of gaming modes.